Not what you might think though. 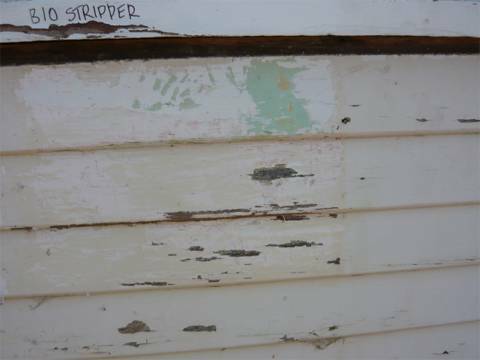 These strippers were environmentally friendly and were being tested on our exterior weatherboards to see which one worked the best before we bought large amounts to remove many layers of paint. We trialled three different strippers. 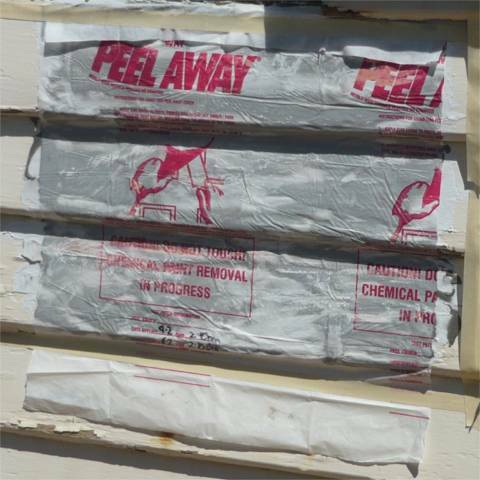 Peel Away, a product that you layer on and then cover with a plastic sheeting. This is supposed to encasulate the paint. Bio Stripper. Made by Bio Paints. Soy Gel. Made in the USA based upon Soy Beans. 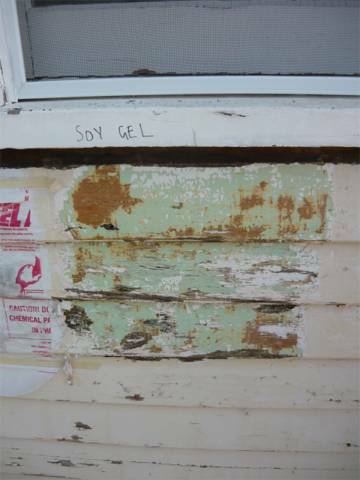 The Soy Gel product showed the most promise, however it would take an awful lot of stripper to remove the six layers of paint that are on the 80 square meters of weatherboard and 40 square meters of window frames. We had used methylated spirits ti see if the paint was acrylic or oil based and this test told us that the paint layers were acrylic. 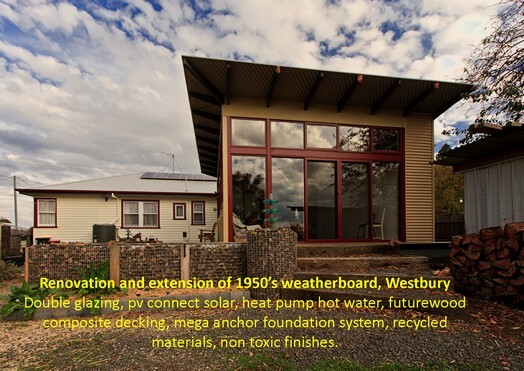 (if you wipe a metho soaked rag on the paint and the colour comes off then it is probably acrylic paint) However this did not make sense as the house is from the early 1950’s and acrylic based exterior paints were not in common use back then. 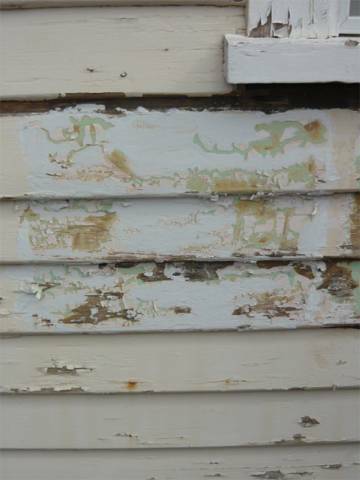 This was a niggle as if there was oil based enamel paint then it would likely be lead based. 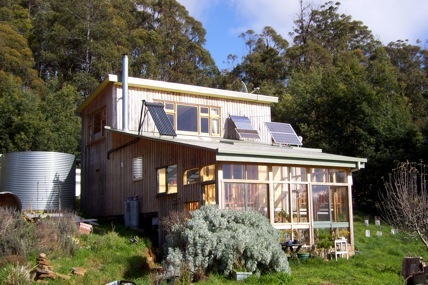 After more internet research we emailed greenpainters.com.au and The Lead Group Inc a website dedicated to eradicating lead poisoning. I wanted to find out whether lead would have been present in acrylic paints. The answer was no but that some oil based paints can dissolve in methylated spirits and that we should purchase a lead test kit. 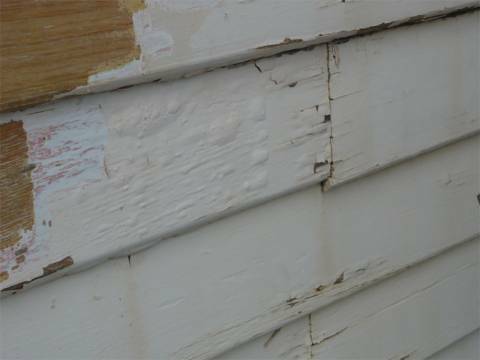 Which we duly did from a paint retailer and tried it on the deepest layer of paint and it showed up as lead based. pink means lead is present !! A Swedish Stripper from New Zealand !! After trying various strippers I came across a different kind of stripper from Sweden. A redhead in fact. 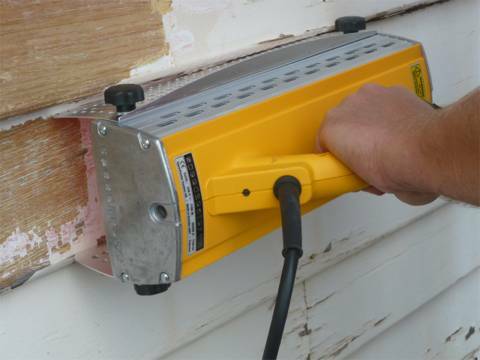 It is called a Speedheater and uses two infrared elements to heat up the paint. 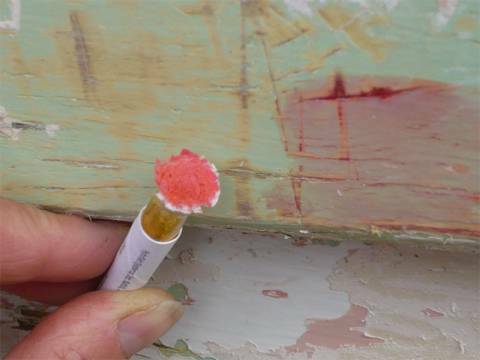 Invented in Sweden it is designed to not heat the paint enough to release the plumbic gas which is given off by lead based paints therefore much safer than heat guns or blowtorches. Distributed by I-Strip from New Zealand it is not the cheapest tool in the world but it compares to the total price we would have to have paid for chemical strippers and we will have it to use again and again.